Playing for free in Baron Samedi, you can uncover the mystery of the legendary shaman who mastered voodoo magic to perfection. 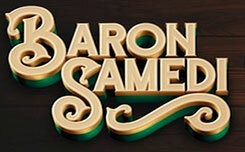 On the technical side, Baron Samedi has a standard structure, five reels and 25 paylines. 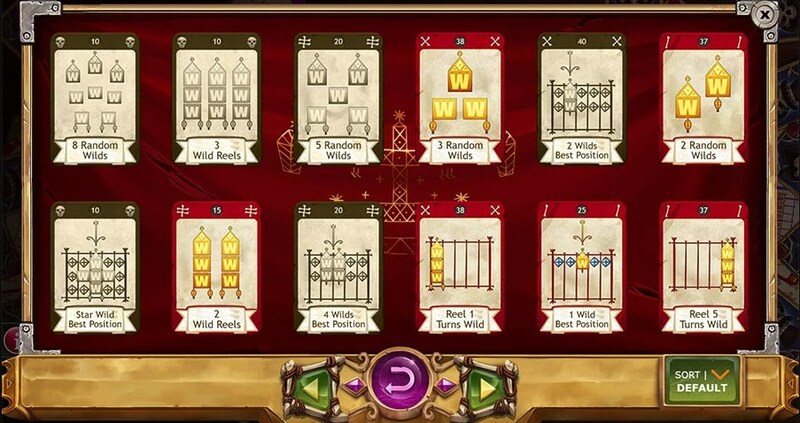 Playing Baron Samedi slot for free you will collect a collection of 36 magic cards, each of them has its own dignity and can activate special functions. The game screen is located on the background of a wooden table, on which voodoo cards are scattered, ritual bowls, candles and other attributes are placed. 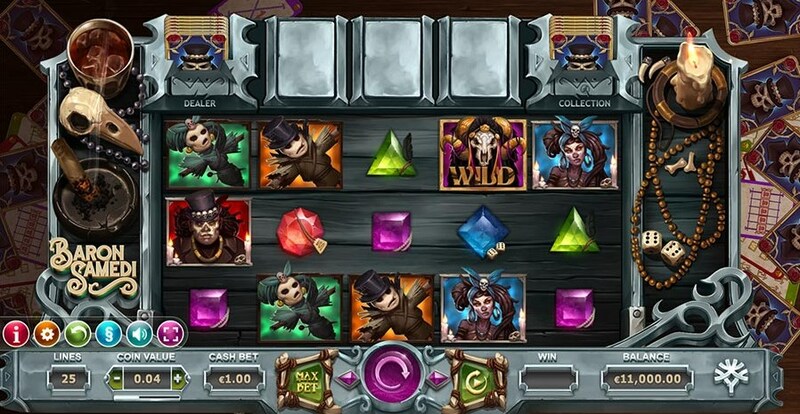 On the reels of the slot you will see the symbols of voodoo straw dolls, sorcerers, as well as colorful magic crystals. The protagonist, Baron Samedi is a scatter symbol and activates additional features of the slot machine. The main function of the game is the quest theme, you need to collect a collection of 36 special cards. With the collected collection, you can get several varieties of additional wild symbols that are distributed on the game screen. These can be filled gaming reels, random wild symbols, they can all choose the best position to create a better combination. Also, the game has several functions of free spins that are activated when a certain bonus symbols drop out. The first is three special bonus symbols in the form of the hero of the slot Baron Samedi. 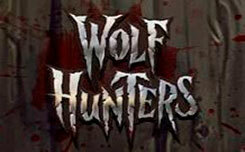 In this mode, you get 7, 12 or 15 free spins for 3, 4 or 5 characters respectively. The second is Voodoo Respin, it starts when two bonus symbols appear. On the screen you will see three cards, choosing one activates the re-rotation with the appeared card. The third way is to collect a collection of cards. 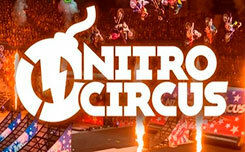 You will receive three free spins, where the collected collection will be active for all free spins. In general, slot Baron Samedi looks quite difficult, but this is far from the case. All functions will become clear when you first enter the slot. 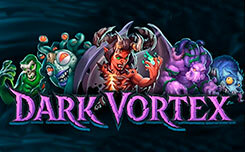 Do not miss the chance to collect a complete collection of cards and get a huge win playing Baron Samedi slot for free.